Even more mysterious and thrilling in a changed the aspect ratio from 1:33;1 to a whopping 2:35;1. The movie has also been trimmed for better and more modern pacing. 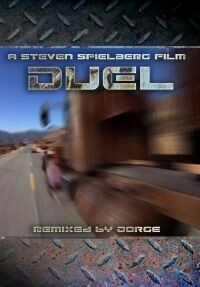 DUEL is an amazing 1971 film by then unknown Steven Spielberg. I first saw Duel a month ago and I enjoyed it but I got bored with it too easily. Enter Jorge. His remixed version is leaner and meaner. I was very impressed with the 2.35 aspect change and the editing was invisible. The best Remixed by Jorge edit I’ve seen. This was a great edit of a great film. It was only afterwards that I remembered scenes that were cut, and only one of those I missed (the diner, where he hassles the wrong driver). The new aspect ratio worked well overall and was only noticeably ‘squashed’ in places. Excellent job, thanks. I have a couple of Jorge’s edits and they all replace my store-bought DVDs as the preferred version to watch. 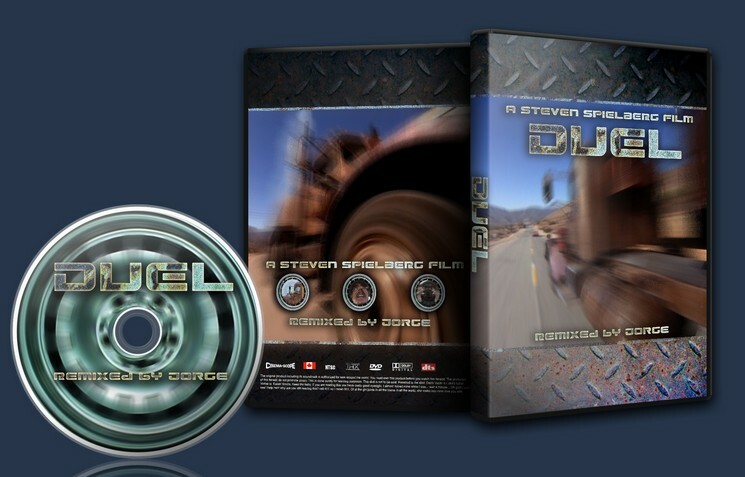 I grew up in the late 80s watching “Duel” on late night Tv and so am a fan of this movie. This is a great alternate version o fthe movie. Technically a 10 and an 8 for the edit. I like both the original and the edit of this movie. An underrated classic gets the remixed by Jorge treatment and is a thrilling ride worth taking. I always enjoyed the original but this edit really ratchets up the tension and the new aspect ratio provides a more claustrophobic experience which adds to the excitement. I agree w/ joebshmoe that even more could have probably been cut but what is here works just fine. The only major omission I noticed was the “cafe rest stop” scene which I enjoyed in the original but its removal doesnt harm the edit and works well to keep the film moving at a faster pace. overall a great job by a great editor. Entertainment 8/10 I loved it but it doesnt replace my original, rather gives a newer, faster more modern cinema experience. Audio quality 8/10 sounded great but could benefit from a remaster.